All L A Comms customers are serviced via the BT Openreach network, ensuring we have the necessary influence and control to deal with PSTN and ISDN line faults and installations. If your business is in the process of transferring its Business Phone Lines or Broadband across to L A Comms or has an issue with an existing service, our UK based customer service team are available 24/7 ensuring that your calls are always answered promptly, which we believe in comparison to other providers, provides unparalleled support and service for your business when it matters. As an established Telecoms provider with access to a nationwide Openreach engineering force, we can provide prompt Engineering appointments, therefore should any fault arise with your business phone line, whilst acting quickly to resolve the issue. As a direct BT Openreach partner, L A Comms has the necessary tools to perform diagnostics on your PSTN and ISDN line, therefore reducing the chance of an engineering been booked in error. One of the main considerations with any ISDN or PSTN fault is to establish if the issue is with the PBX/Telephone System or the Openreach network. Using our diagnostic systems in conjunction with our customer service experts, your business can have peace of mind that L A Comms will establish the root cause of any fault quickly and take the necessary steps to resolve it promptly. Having over 10 years of expertise with the business ensures that regardless of the complexity of your requirements or business needs, our team will take the time to understand your business and advise the best to maximise performance whilst reducing cost on your business phone lines. Savings of up to 45% can be achieved, depending on your current provider. With L A Comms you don’t have to worry about a connection charge, it’s free. We bill by the second so you only pay for what you use. It all adds up to great savings. 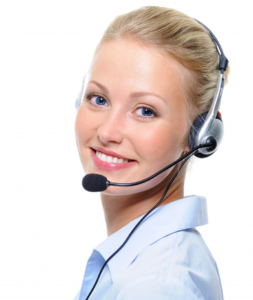 With our 24/7 account manager you can be assured that you will get round the clock support.